Google and NCERT have teamed up to integrate a course on Digital Citizenship and Safety in the Information and communication technology&apos;s (ICT) curriculum. Students, starting from elementary till HSC, will learn how to behave as a responsible digital citizen on the internet. Google has also created a curriculum for teachers so that they can help students in learning about digital citizenship in classrooms. Students from class I - class XII across 1.4 million schools in India will now learn how to become good and responsible digital citizens, through structured classroom modules on the social, ethical and legal aspects of Internet safety. In addition, Google has also created a curriculum for teachers, so that they can help students learn all about digital citizenship in their classrooms. Commenting on the collaboration with NCERT, Sunita Mohanty, Director, Trust and Safety, Google India said, "While the Internet has made life easier for everyone and offers so many opportunities to explore, create and collaborate across all age groups, users online or those coming online for the first time, need to be aware of the possible negative experiences that they may incur on the web. This makes it important for us to start a dialogue on the dangers and threats they can be exposed to when surfing the net. Through our course integration with NCERT, we aim to catch children young and teach them the essentials of staying safe, while exploring the online world." Dr. Amarendra Behera, Joint Director, CIET - NCERT, "School education is the foundation for a successful future. We are glad to partner with Google and place on record their association in developing and transacting ICT in Education courses for School Education that is relevant in today&apos;s context. In an increasingly connected world, the internet is fast emerging as a learning space for our students and it&apos;s our responsibility as educators to provide them with a safe learning environment. We hope this initiative will prepare our students to identify the threats and ensure a safe web experience online." The program includes a range of specific resources for kids, and educators, enabling them with the tools they need to learn and educate themselves on internet safety. The syllabus for online safety presented in the curriculum will be systematically graded and has been divided into four overarching themes - Being Smart; Being Safe; Being a Digital Citizen and Being Future Ready. The curriculum is structured to match the intellectual and curiosity needs of different age group of the children. For example, in lower classes, students will focus on engaging with technology and learning the use of basic digital tools. In middle classes students will be introduced to basics of the internet, concepts of account safety and distinguishing good content from bad. 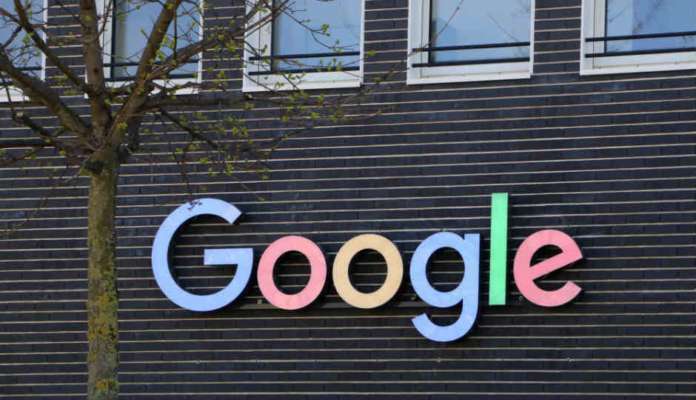 On this occasion, Google also announced the winners of the 3rd edition of its Web Rangers competition -- an initiative that is designed to spread awareness about Internet safety and promote digital citizenship. Seventeen year old Arjun S from Chennai created Alice Safety Bot, an AI powered bot that answers your internet safety related questions; 13 year old Mrigank Pawagi from Noida created the android app WebMe, a fun and educative game that allows users to learn how to stay safe online by completing interesting challenges that take them to different levels; Juyeong Suk, 17 years, from Kolkata and a team of 16 year olds from Pune - Chaitanya Kedar Sapre, Om Patil and Ishika Kulkarni, created innovative stop motion videos and 15 year old Akashdeep from Ranchi designed an innovative poster that represents how WebRangers can protect the internet. The third edition of the Web Rangers Contest received over 5000 projects, campaigns and posters from across the country, including smaller cities like Ukhra in West Bengal, Hingna in Maharashtra and Davanagere in Karnataka. Over 50% of the entries were from non-metro cities. The entries included videos, apps, games, posters, websites and a host of other interesting projects and campaigns which indicate how keen children are on the topic of Internet Safety. The submissions were judged on creativity, reach and impact. Launched in 2015, Google&apos;s Web Rangers program has trained over 30,000 student ambassadors across private and government schools from over 75 cities in 12 states. Congratulating the winners, Sunita Mohanty, Director, Trust and Safety, Google India said, "We are overwhelmed with the participation shown by students for the third edition of the Web Rangers Contest. This year has been our most successful edition as we saw equal participation from students across private and government schools. With their creative ideas, teenagers helped us spread the message of internet safety and good digital citizenship, whilst empowering their friends and families to have a safer and meaningful digital experience."